Don’t you hate messages that begin with FYI? I used to tout my duelofthefates at@at gmail dot.dot com address as the way to get into touch with me. But - in an effort toward e-mail simplicity, I’m going to pack that one in mothballs. . . and only check very occasionally. 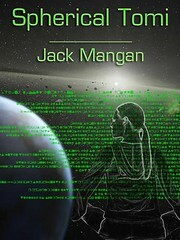 If you want to get in touch with me, then use one of the other e-mail addies (the most recommended one is listed on the sidebar at www.jackmangan.com). Don’t send stuff to the duelofthefates gmail address unless you’re ok with a long wait.